DearMob iPhone Manager is a standalone iOS file manager that allows you to swiftly and safely backup and transfer iPhone music, video, photo, contact, message, app, voice, calendar and more files without installing iTunes or any other Apple services. 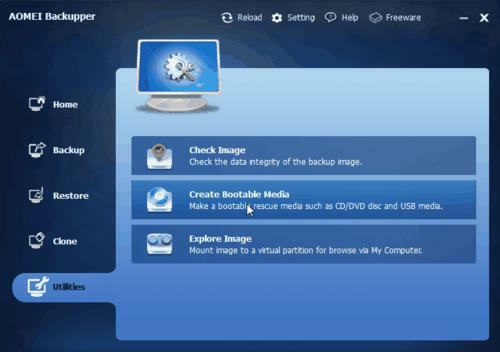 It is an advanced iTunes alternative no matter for file syncing, data backup or music files management. One click backup and restore option for iPhone whenever you want to keep the record of your iPhone files or change to a new iPhone. It present a straightforward and intuitive interface, leaving no question of where to find the data you want to restore. Selective backup iPhone: DearMob iPhone Manager can also help if you only want to selectively backup the specific iPhone files such as your summer photos, messages with your friends, MP3 music that somebody send to you. 2-way sync files from iPhone to computer or vise versa. Unlike iTunes, DearMob enables you to import or add new files from Mac/PC to iPhone as well, be it photo, music, ringtone, App, contact or keynote files. DRM removal: It helps you to easily unlock the restrictions of iTunes purchased movie, music and books. 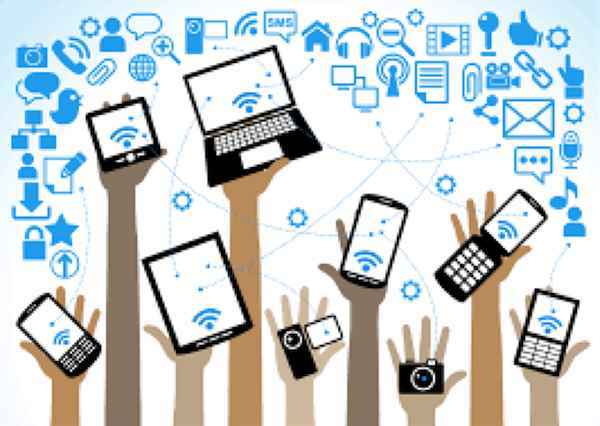 And lets you transfer and backup those files to any devices at ease. Option to convert iPhone files to be more compatible with other devices: convert photo from HEIC to JPG, convert ebook from EPUB to PDF/DOC/TXT, convert contact/messages to PDF/DOC/TXT, etc. Password encrypt your file/folder from local or iOS exported photo, video, contacts, to further protect your privacy by adapting multiple aced encryption algorithms from both asymmetric and symmetric cryptography, including 1024-bit RSA, 256-bit AES, PBKDF2, Argon 2, it tightly locks down your iPhone data no matter in transit or at rest. 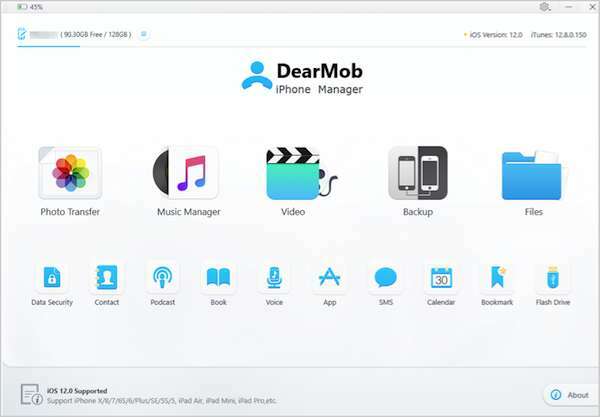 DearMob iPhone Manager works on Windows 10, 8.1, 8, 7, Windows Vista and Mac OS X 10.6 and above. 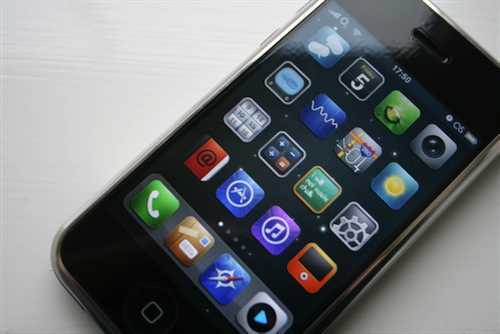 It is also compatible with the latest iOS 12, supports iPhone devices from generation 4S to the latest.